Takashimizu history began in 1944 after merging of 12 small breweries during World War II. In this column, we will trace the history of 12 breweries which are the foundation of current Takashimizu one by one. We will introduce “Kotonoumi” this time as the tenth brewery out of 12 breweries. Heiyu Kondo started the sake business as the unlimited partnership “Kondo brewery” at Kitaura town, current Oga city in Akita prefecture in 1915. Then, they moved to current Gojyome town in 1922, and to current Katagami city in 1927. Their brand name “Kotonoumi” was named after another name of Hachiro-gata. During the Emperor Meiji’s visit to Tohoku region in 1881, and when he stopped by at Mikura-hana in Hachiro-gata town, he composed the poem and mentioned Hachiro-gata as “Kotonoumi”. This is said the origin of the name. In addition to “Kotonoumi”, they also used “Oiwake”, “Matsu-midori” and so forth as their brand names, and sold sake around Katagami-city and the herring fishing area in Rebun Island, Hokkaido. Bruno Taut who was an architect representing modern Germany visited Kondo family under the Tokushi Katsuhira‘s guidance in 1935. Moreover, many cultured people such as Saneatsu Mushanokoji, the writer and dramatist, and Kazumasa Nakagawa, an artist, visited Kondo family and had a friendship. 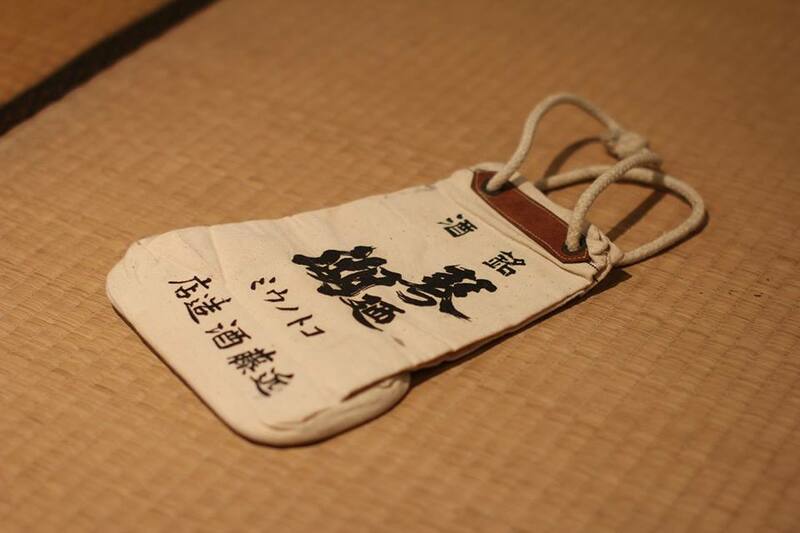 The picture above is a bag of “Kotonoumi” which was used for carrying sake at that time. This bag is only remaining at the Kondo family which experienced the turblent period and tells us the history of “Kotonoumi”.